We Were Trapped With No Visible Way Out! We Were Trapped, With No Visible Way Out!! So anyways, as many of you know, the escape room epidemic has spread far and wide. 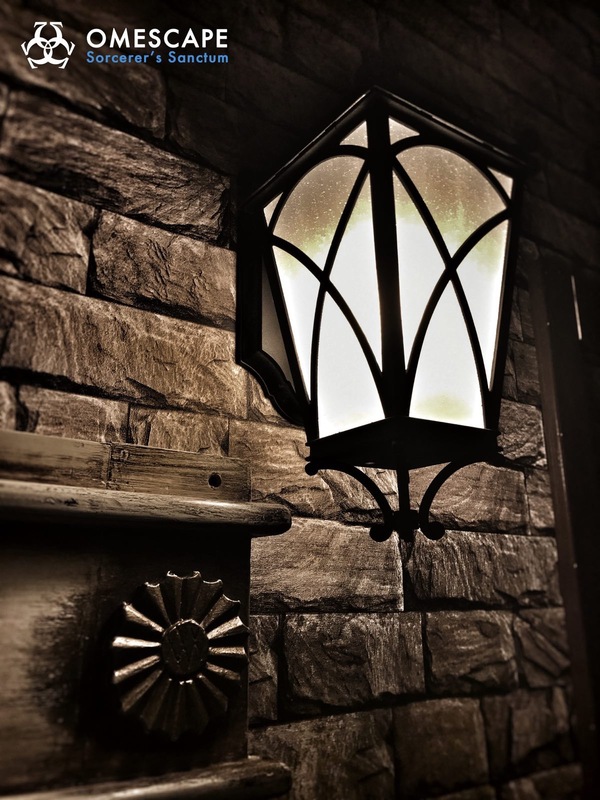 I first found out about them when I was in Nashville, two years ago, but I didn’t actually try my luck until last Winter… Let’s just say I’ve tried 4 rooms since then and have yet to escape without any clues..
And for those of you reading this wondering what the heck an escape room is, basically you and your team (each room ranges with suggested amount of people), get locked in a room, or multiple (again depending on the themed room you choose) and you try to find clues to escape. Here’s the thing, they are also timed! All the ones I’ve done have been an hour and that was definitely not enough for me and my group haha! Some rooms have potions you have to make, some have math, some have black light clues, some have inbound but no outbound calling, each room is different and you HAVE to work together! And when I say that, it doesn’t just mean brainstorming ideas together, some rooms you have to push buttons at the same time or say something at the same time etc. My first two experiences were GREAT (besides not escaping haha) and were both at OMESCAPE. 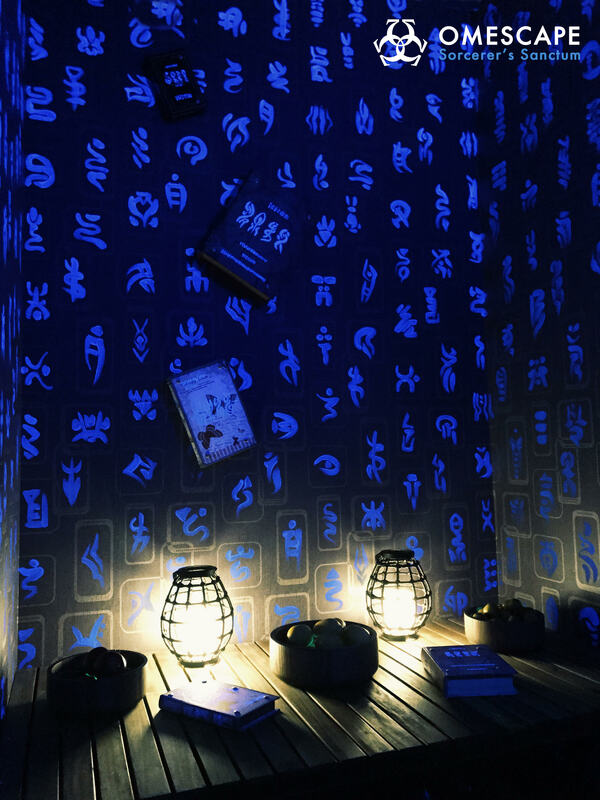 My third experience however, was at a different escape room (NOT OMESCAPE) because it was a work outing and closer to our office and wow…. it was awful! I kid you not you guys! The “lobby” was a storage closet that had boxes and brooms.. and the a/c was broken so it was like we were stuck in a sauna.. not on purpose! 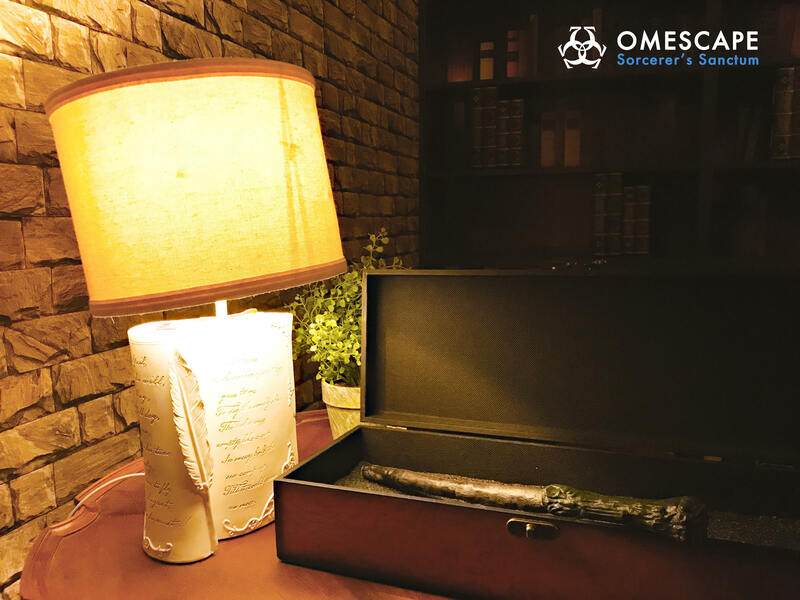 It definitely didn’t live up to the standards I had previously experienced, so if I am to refer any escape room, it would DEFINITELY be OMESCAPE. They have locations in Richmond, CA and San Jose, CA. Obviously this is more for my local California friends, but if you’re ever visiting in the area, check them out! We’ve only tried the San Jose location but Richmond is up next! This room was by far my FAVORITE room!! All of them are good, but this one really made me feel like I had teleported to a Harry Potter scene! And for those of you who remember, I am a HUGE Harry Potter fan (no shame!) I won’t give away any of the clues in case you go, but lets just say there were some pretty spooky and spell’tastic features! And like I said before, you HAVE to work together! These games are designed to really make you think outside of the box and will be sure to challenge anyone! Each game is a different level of difficulty and will test you in different ways. 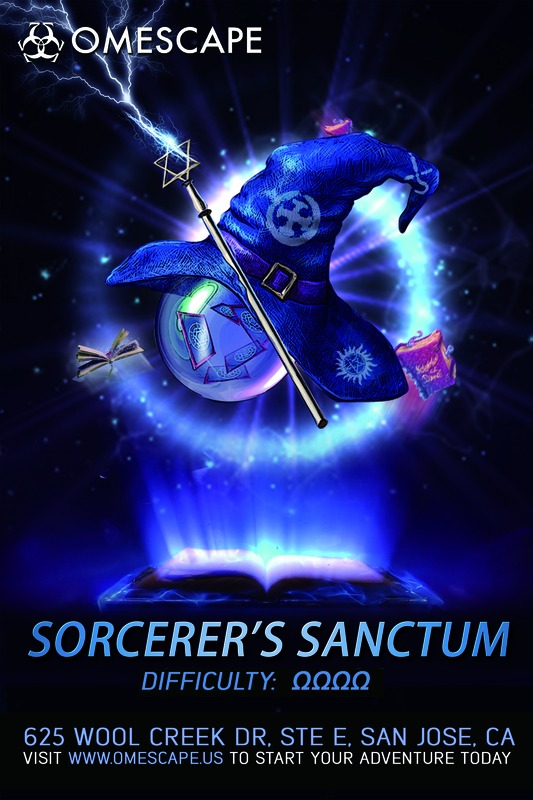 The Sorcerer’s Sanctum is level 4/5 but don’t let that fool you! These are harder than you may think..
DeAndre’s family and I ended up escaping with 2-3 clues (can’t fully remember if it was 2 or 3), but that is way better than our average of 6-7. It was also a general consensus that this was our favorite room yet! 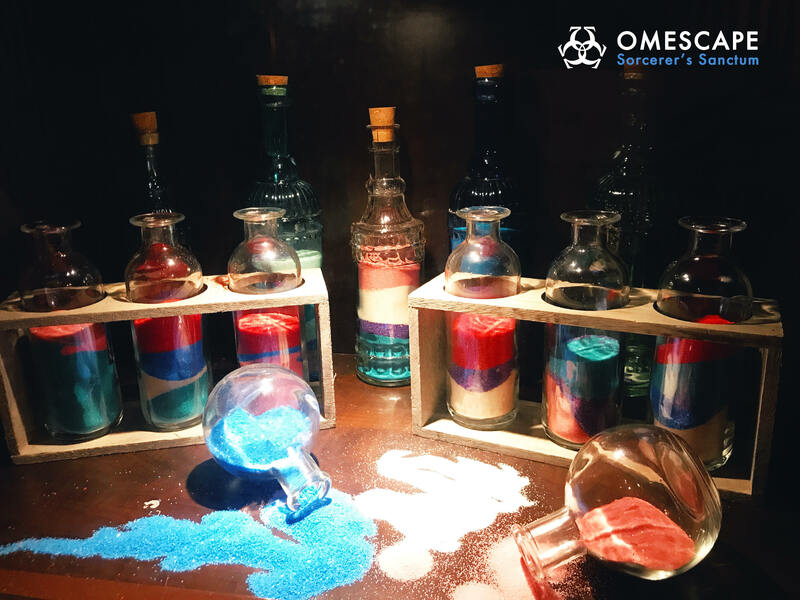 You can tell that the staff at OMESCAPE really takes the time to make a wonderful experience for every group and their decorations and hints are awesome! They also have a nice, large lobby with fun activities while you wait for your game to start and at the end you can take a photo on their wall with fun props! Tickets are $30/person but I have a 10% off coupon that you can use at the San Jose location until the end of July! Just use “BIANCAESCAPE” during checkout. If you haven’t tried an escape room, I highly recommend trying one out!!! Great for family fun, date nights etc. A special thank you to OMESCAPE for sponsoring this post and letting us join in on the fun! Next Post How to Achieve the Perfect, Day-to-Night, Summer Look! Uhm, I think I’m obsessed!!!!! I had no idea those existed. Dude, freakin awesome! Yeah I immediately thought of you!! We need to go to one!!! I have a feeling you would get us out! Wow! Sounds like fun. I love challenging activities with friends and family. Next time I’m in San Jose I will definitely have to check out Omescape. We should all go!! It would be really fun!! This was extremely helpful! I’ve been wanting to get out and try one of these and didn’t know where to start, thanks for the suggestion!!! You definitely should try it out!! SOO much fun!!! I need to go here! Thanks for sharing! I’ve tried both rooms, but this one is hands down my favorite! Equally as hard but the rooms are amazing in this one! They definitely outdid themselves!